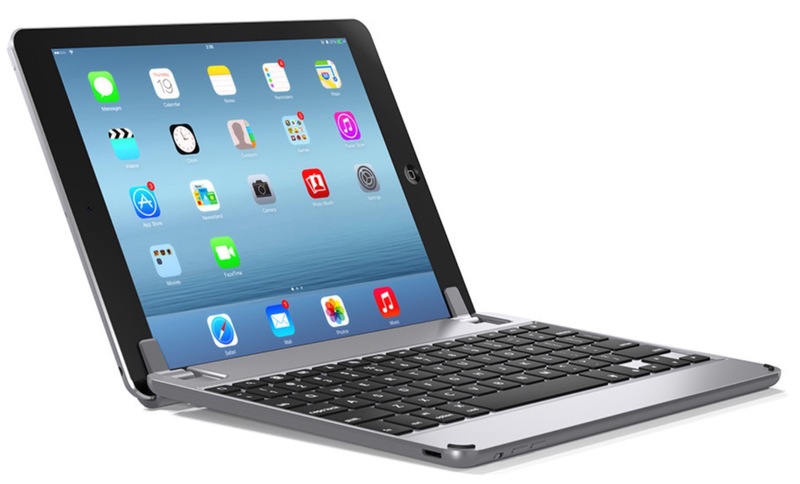 It has been challenging using the new iPad Air 2 without a tactile keyboard since I’m use to using an iPad 2 as a replacement traveling notebook. Typing on the glass screen is less than optimum, so I’ve been searching for a better quality replacement than the previous Logitech Bluetooth keyboard. Unfortunately few “fitted” keyboards or cases exist to look at yet with the Air2 still being relatively new. 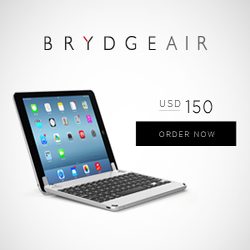 At first look, I was planning to pre-order the Belkin Ultimate Air Pro or Zagg keyboard/case, but really liked the quality look and reviews I’ve been reading on the Brydge Keyboard. Unfortunately the Kickstarter company produces in lower numbers and at higher prices for their “what seems to be” quality product. According to their website, they will not have the space gray available for 6 weeks. I’m hoping for quicker service, but placed an order anyway.